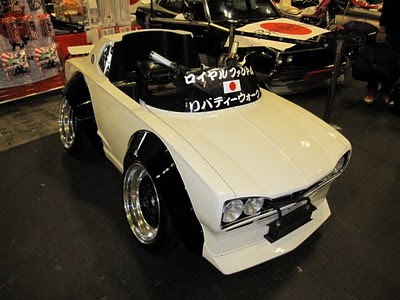 Liberty Walk, a well known tuner from Japan, took a 1970 Nissan Skyline GT-R and shunk it, put it on an ATV chassis. The proportions on the Royal Phantom just look right. Shunk, but right. Here in the US, the Hakosukas are not very well known, but in Japan they are legendary. Their Lambormini's have been featured several times in Heavy Hitters Magazine, even on the cover. The owner of Liberty Walk, owns several very cool old school Nissan Skylines. His $400,000 collection was featured in a recent issue of Heavy Hitters. The Lamborminis don't come cheap, but there are some Lamborghini owners that just have to have them. 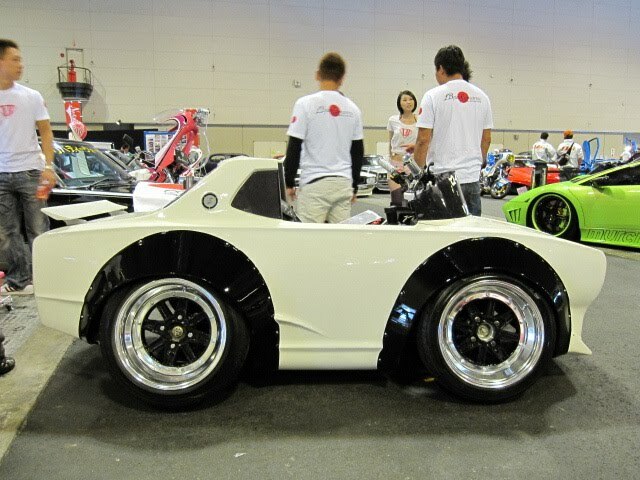 The Japanese company has not yet added pricing info on the Skyline GT-R buggy on its website, but just to get an idea, the Lambormini starts from 1.88 million Yen, which comes to about US$23,250 or €16,750 at today’s exchange rates. Check out the video below of a Lambormini being assembled in the US.